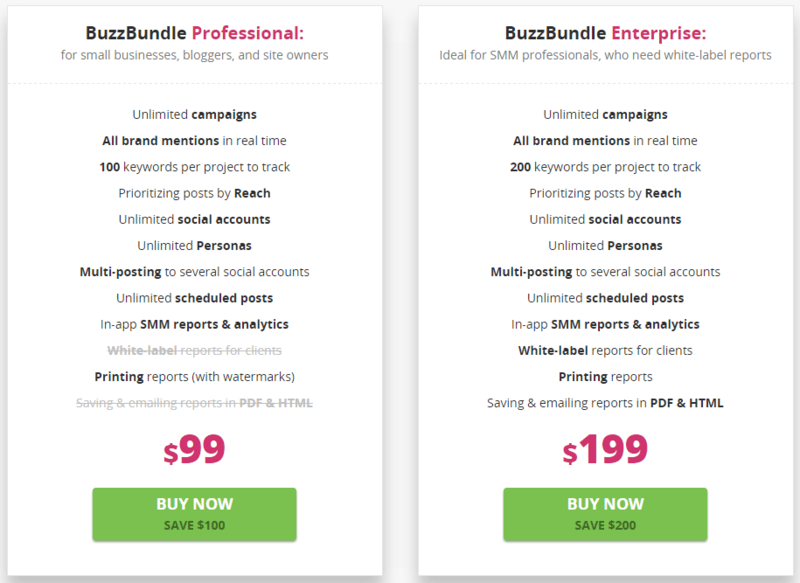 BuzzBundle is one of the best social media profiles managing and monitoring software. 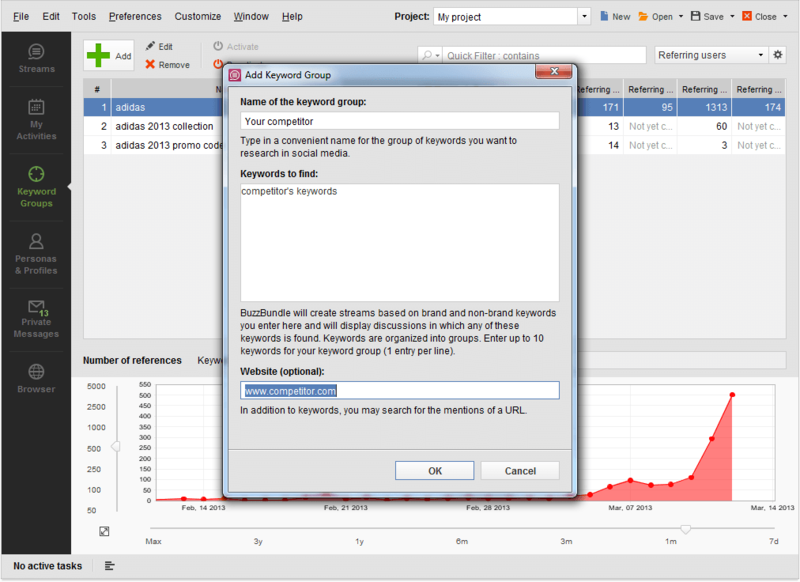 You can track Competitors social SEO, Brand mentions, Social campaigns tracking and many more things with it. Social media is one of the best ways to drive referral traffic toward your site and to get the social traffic, you need to have profiles on every social site like Facebook, Twitter, Google+ and Linkedin, etc. You can drive a lot of traffic by using social sites with a strategic plan. But managing and monitoring these profiles sometimes feel a headache and boring. Well, BuzzBundle software can save you from this situation, and also can reduce your social activities workload. BuzzBundlle basically designed for managing and monitoring all of your social profiles in one place. All you have to do is, add your profile information in it and it’s ready for use. Isn’t it simple? You can use it for participation in question/answering, comments, blogs, and forum discussions without investing a lot of time. 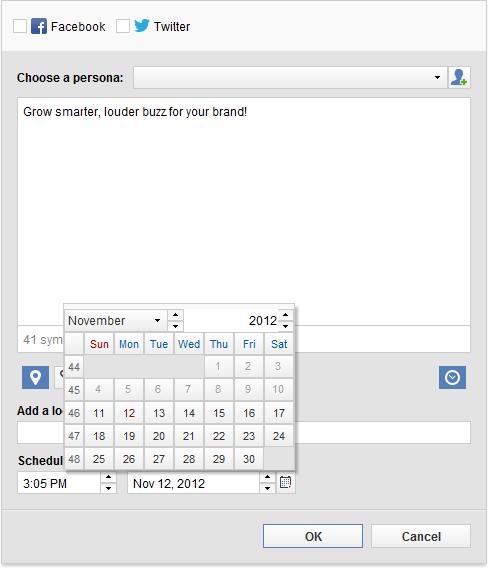 Also can track your brand name mentions, services, and keywords. In short, It is one of the best social media profiles managing and monitoring tool I have ever seen to manage social activities and campaigns. It shipped with the bundle of functionalities such as hiding locations, scheduling, Easy to use dashboard and multi-site supporting. 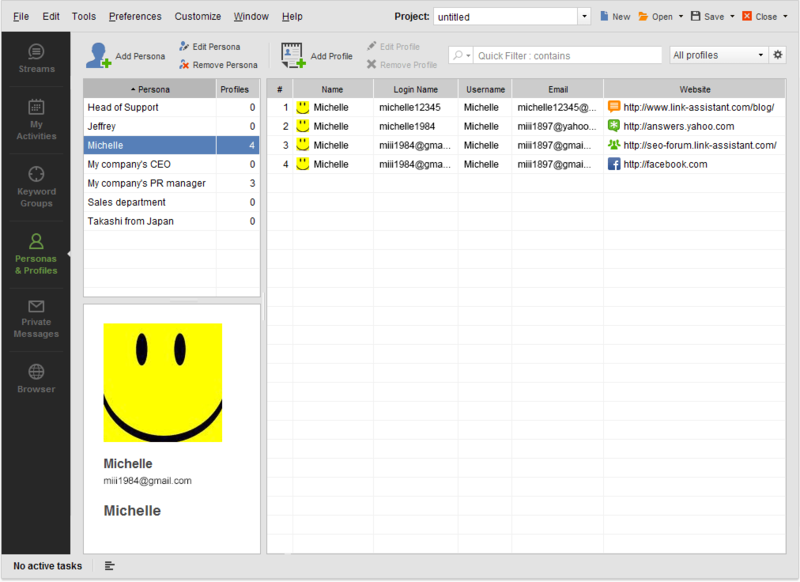 You can set up unlimited FB, Google Plus, Twitter, LinkedIn and other accounts for different personas. You can add all of your social accounts here and manage them at one place. It reduces your social media marketing workload and time too. BuzzBundle supports all the major social media networks such as Facebook, Twitter, Linkedin, Google Plus, Youtube, Forums, Blogs, and Q&A. It is all-in-one social media marketing tool with a lot of features. 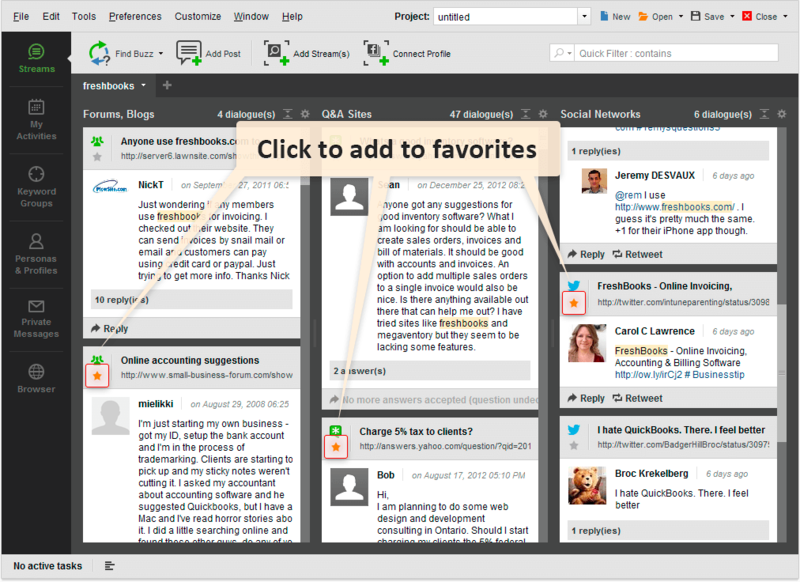 From the software dashboard, users can easily comment, tweet, FB like, messaging and schedule replies. Don’t need to switch profiles from one to another. Monitor competitors social seo link building activities and build you brand link from most trusted and unique sources. Another great feature of buzzbundle is that you can hide your actual location by using built-in proxy service to join conversions incognito. You can browse with this software without leaving it. It is fully integrated with web browsing functionality to create distracting free working environment. By adding most important discussions or conversations in your favorite list, you can easily keep an eye on them. 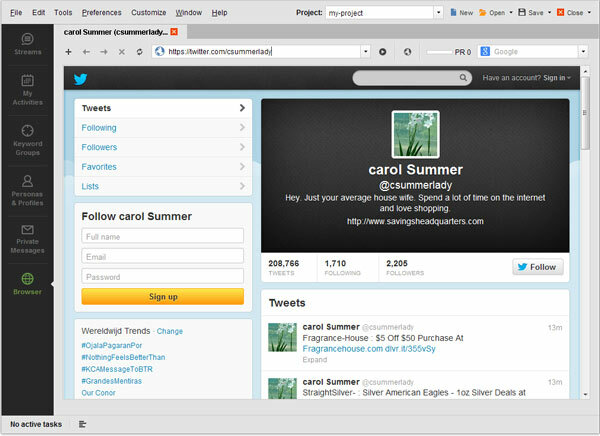 It can monitor your competitor’s mentions and social SEO. With this way, you can keep an eye on your niche/brand competitors activities. 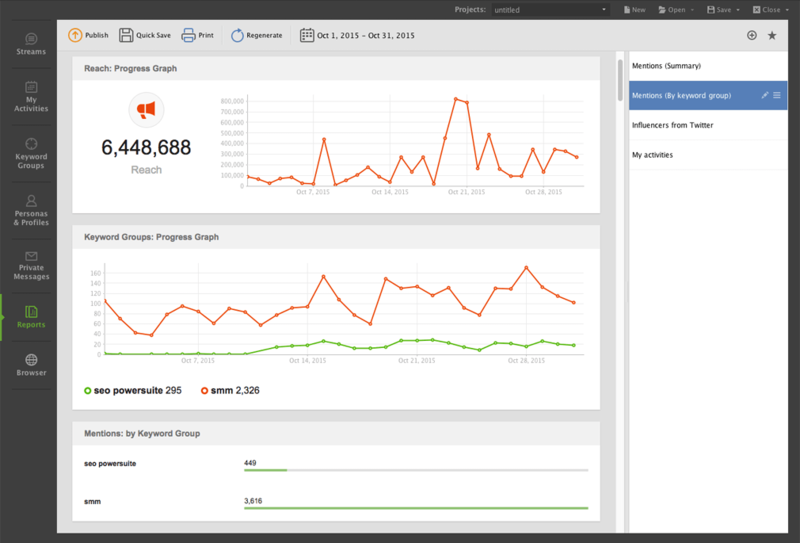 Another excellent feature of BuzzBundle software, you can monitor the effectiveness of your social campaigns side by side and track performances. Due to the responsive design reports look great on any device. Buzzbundle is a freemium tool, you can use it as a free user for 15 days trial version with limited features or buy it for getting full features. 15 days trial with very limited features. Suitable for individual business owners and bloggers. This bundle is perfect for social media managers SMM agencies. BuzzBundle is all-in-one social media marketing and managing software. Are you tired to handle your social profiles by switching one to another or logging in again and again? I will highly recommend using this software. If you already planned to buy it, then this is the right time to grab on BuzzBundle Black Friday Discount deal, you will save 60% it is almost $100+ saving. It is time limited offer, so buy it as soon as possible.